Finding the best campsite can be tough, but the location and campground can be the most important factors. Whether it's playground equipment, games, sporting equipment, you need to ensure that site offers the amenities you need to keep those kids entertained. Sporting equipment, hiking trails and tours should be readily accessible to you and your family. And, they should be easy to find. Whether it's breakfast, lunch, dinner or just a glass of wine, you need a place you can go to relax that isn't necessarily over the fireplace. It's no only for those who plan it, it's also not uncommon for camping gear to break down at the wrong time. Be sure you're prepared. Often forgotten until it's too late, many campgrounds are havens for rambunctious youth with a little too much access to adult beverages. Look for campgrounds that support strict noise guidelines to ensure a restful experience. Perhaps you don't need a new Barbeque, but you've run out of propane or firewood. 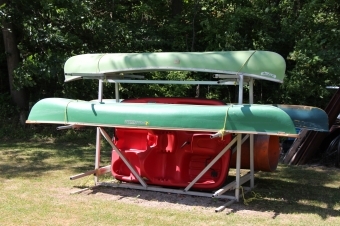 Ensure you're at a campground that has you covered. 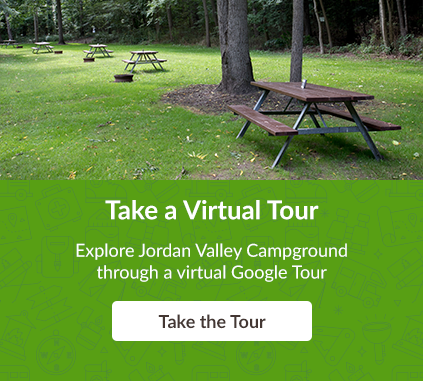 "I took my family to Jordan Valley and it was just a fantastic time. I was expecting the Falls to be great, but the wine was unbelievable. Wish we could have had more!"